Home » Denny Schackter » Should Tennis Juniors Play Other Sports? 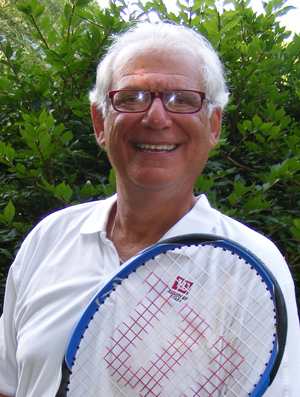 Denny Schackter has been serving the Tennis Teaching Professional Industry for his entire career. Denny was the Head Tennis Coach at the University of Wisconsin-Madison from 1972-81, and spent 22 years as a sales rep for Wilson Sporting Goods. In 2008, he was inducted into the Wisconsin High School Tennis Coaches Hall of Fame. Denny owns Tennis Priorities, a service company that specializes in recruiting college graduates to the tennis teaching profession. He also provides a professional screening to supplementa a club or facility’s interview process, helping decision makers hire the right employee for the job. The discussion of whether a high schooler should specialize in one sport or play multiples sports has been going on for years. As I visit various sports venues, I often hear parents chat about their kids and their sports: outside coaches, travel team politics, expenses related to activities, and so on. Being a Wisconsin fan, I am constantly reading about Wisconsin athletes. Recently, Greg Gard, Wisconsin’s Men’s Basketball Coach cited that both of his two point guards this season were football quarterbacks in high school and part of championship football teams as seniors. Hence, he really likes these kids as leaders on the basketball floor. My guess is that much of that leadership stems from their high school quarterback days, as well as their high school basketball roles. As a Packer fan as well, I wondered if Aaron Rogers played other sports growing up. Coincidentally, in USA Today High School Sports, an article was written in January 2017, about that very subject. Rogers played soccer, baseball and basketball along with football. His comment was, “I think it is going away a little bit and it’s unfortunate.” He went on to say that he pitched in baseball, was a goalie in soccer, and a point guard in basketball. If you notice, all of the positions Rogers played were ones where he controlled a great deal of play. Most experts feel that by playing more sports, fewer overuse injuries occur, there is less opportunity for emotional issues, one receives exposure to different kids and different roles, and one is not putting all of their eggs in one basket. Michelle Smith, of ESPN wrote these things, but others have as well. I remember talking to a tennis parent about his daughters who wanted to go to a particular Division I college to play tennis. The college coach did not recruit her, because her national ranking was too low. The young lady was not only a fine tennis player, but also a member of a state championship softball team. Hence, the time she devoted to tennis was not as much as other athletes. However, another DI coach recruited her and she became one of the winningest women tennis players in school history. That coach recruited the total athlete, not just a tennis player, and was rewarded. Certainly, the flip side can be said for devoting oneself to the sport or activity one does best. I am not a musician, but in researching musicians, I found out that many fine musicians learn piano first and then branch out. We’ve all heard about a musician who can play all kinds of instruments, but the really great ones seem to focus on one. I believe there’s some mental and physical fatigue in that program as well, but the rewards of being extremely strong in one instrument, are probably pretty extensive. The commentaries I have discovered focused on multiple team sport participation, but there was little written on playing a team and an individual sport. Hence my desire to write this article. I decided to ask several Division I college tennis coaches for their thoughts on this subject. Arvid Swan, the Men’s Coach at Northwestern, did not express a preference for a multi-sport or single-sport athlete in his recruiting. He just wants a player who fits their team’s culture. Brad Dancer, the Men’s Coach at Illinois, told me, “The question to play multiple sports in high school is such a personal one and needs to be a fit for each family. There can be advantages to continuing to compete in sports outside of tennis, even at the high school level, but it often takes a young man or woman who is pretty comfortable in their own skin, to not b e overwhelmed by the feeling of ‘falling behind’ on the tennis court. Kelcy McKenna, the Women’s Coach at Wisconsin commented, “It would be hard for a high school athlete to be able to have success in ITF/USTA tournament competition, if they played more than two sports in high school.” My thought is – dividing time between two sports would inhibit practice and improvement for both. Gosh, I love sports! I love what they teach us. However, attending a junior tennis tournament in many locations is not very rewarding. Of course, it’s not just tennis, but team sports, competitive parents, warring coaches, and poor sportsmanship, that really adds negativity to the fun of competing and meeting new and interesting kids along the way. In my investigation, I discovered there are pros and cons to multiple sport participation and sole sport participation. I don’t have an answer, but I do have an opinion. If an athlete wishes to play a sport in college, then participation in high school in one sport is probably a great idea. However, if a high school athlete is on a fall team sport and a spring individual sport, then muscle and mental fatigue is reduced. Meeting new and different kids with new and different experiences, is a given. If someone plays a physically grueling team sport then jumps into a physically gruelling individual sport, I can see some issues arising. I believe the conclusion is each athlete and his or her family have to have open discussion on time management, dollar costs, physical and mental turmoil, and then make a sound judgment on what’s best for everyone involved. I formerly coached college tennis, but it was over 30 years ago. We did not have a great deal of off season conditioning. We did not have year round play or required kids to stay on campus during the summer, etc. Today the requirements for DI athletes are completely different and, in my mind, over the top. Even at the 03 level, I am seeing a great many expectations put on athletes to insure they compete at a high level. However, today the pressure on coaches to win has superseded anything resembling common sense on behalf of the athlete. ← Does your Facility Have A Company Culture?